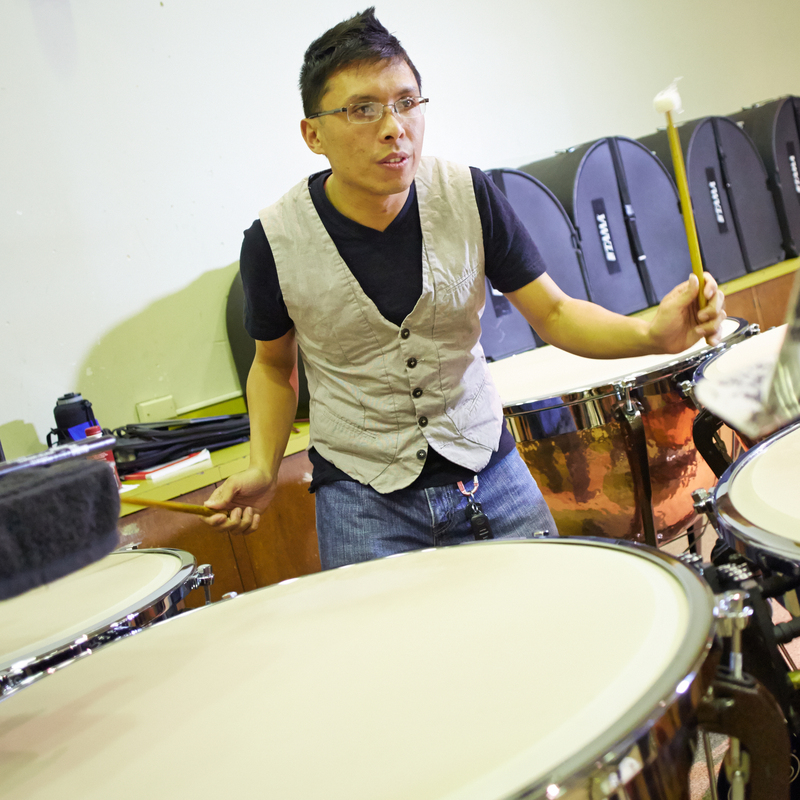 The Music Department at the University of Hawai‘i at Mānoa offers a wide variety of performing classes. In addition to its large wind, orchestral and vocal ensembles, there are many opportunities for students to enroll in classes that focus on scenes from opera and musicals, jazz, chamber literature, new music, guitar, brass, and saxophone. The unique feature of this department is its wealth of performing ensembles representing cultures from Asia and the Pacific. Hawai‘i is strongly represented through classes in Hula & Chant, Slack Key Guitar, Choral singing, and “string band” (singing Hawaiian songs with ‘ukulele and guitar). Pacific cultures are represented by the Samoan and Tahitian ensembles, and Asian cultures by the Chinese Ensemble, Koto Ensemble, Japanese Gagaku, Javanese Gamelan, Korean Ensemble, Okinawan Ensemble, and Asian Theatre Music (in support of Asian theater performances offered by the Department of Theatre and Dance). In addition to excellent collaborations by our performing faculty, the department serves as the residence of Trio Xia.